Some of us find walking in heels to be a very simple task. 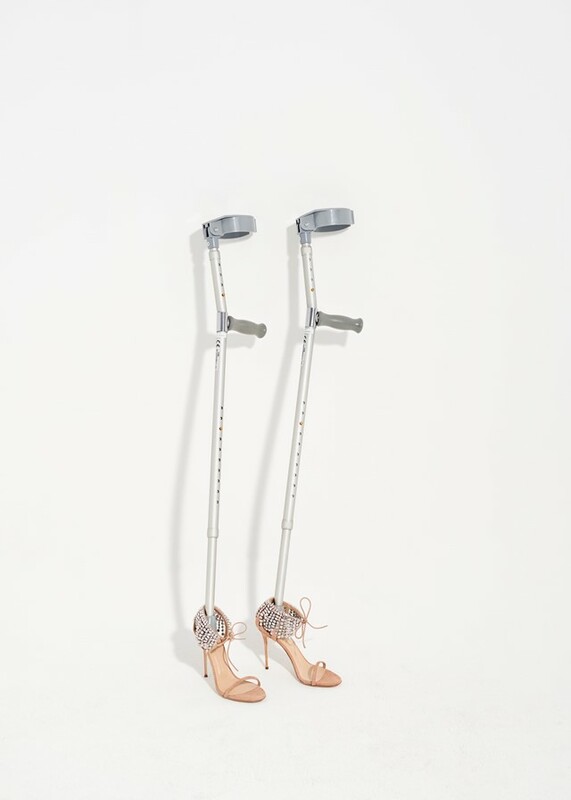 For others, the mere thought of slipping on a pair of stilettos is akin to torture, with the threat of tripping over and falling flat on your face at any given moment a real and present danger. Then there are those who take to wearing precarious forms of footwear as part of their profession; be they ballerinas or drag queens, their proficiency on an elevated sole is a source of envy for us ordinary types the world over. These pink suede heels by Giuseppe Zanotti are the perfect introduction to learning the art of staying upright at all times. Trimmed with a crystal fringe, they ooze all the grace and poise of Ginger Rogers gliding across the floor of a ballroom. Except, more likely, you’ll be wearing them to a cocktail party, balancing a canapé in one hand and a glass of champagne in the other.